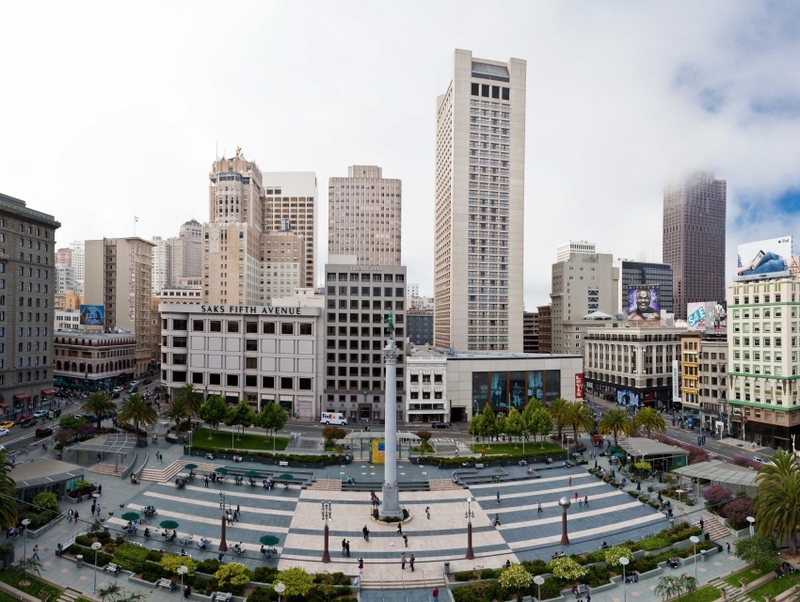 Since the beginning of the 20th Century, Union Square has been the centerpiece of the city's shopping district. With big names like Burberry, Emporio Armani, Macy's and Kate Spade lining the streets, this is the place to go for retail therapy. If you need to fuel up after a long day of shopping, Union Square has a variety of dining options, from the ultra-posh to the quick stops. At the heart of the square, a large open-air plaza is bustling year round with art sales, musical performances and holiday decorations. In the center of it all stands a huge stone monument, which was built in 1903 and crowned with a bronze statue of Victory.